The hotel has 32 double rooms with an extra bed if necessary, and 1 large suite with maximal capacity of 4 persons. All rooms have a private toilet and bathroom with shower or bath. The room facilities include hairdryer, sat TV with a radio set, a direct dial phone, free internet access and a safe. The hotel dining room serves a buffet breakfast, which is included in the price of accommodation. Refreshments are provided at the lobby bar. Staff offers all standard services including secretarial service. There are 20 parking spots for guests in the hotel garage. 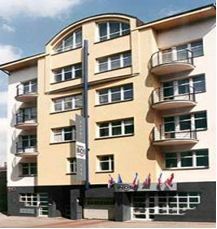 Hotel Inos is located in a quiet part of Prague 4 near the city centre. 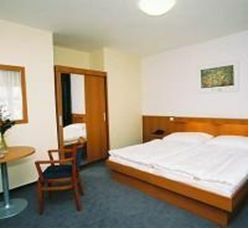 Hotel is situated 5 minutes walk away from the Prague Congress Centre.